The real trick to this recipe is to make a sauce using the pasta water. I probably used about one cup. 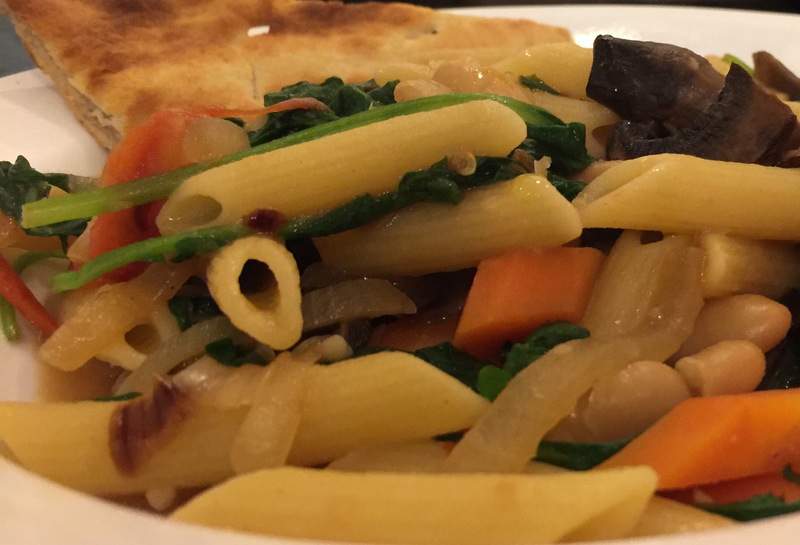 The water has the starchy goodness from the pasta and is further enhanced by the sweet starchiness of the beans. Along with a little olive oil the sauce is light and tasty. I sautéed the mushrooms, onions, garlic, and carrots. The penne was cooked very al dente and right before I dumped it on top of the vegetables I add cherry tomatoes, the cannellini beans, and a lot of a kale and arugula mix (Kale Italia.) With the heat fairly high I kept adding the pasta water until the penne was done to our liking and there was a little residual sauce. This was a real winner. 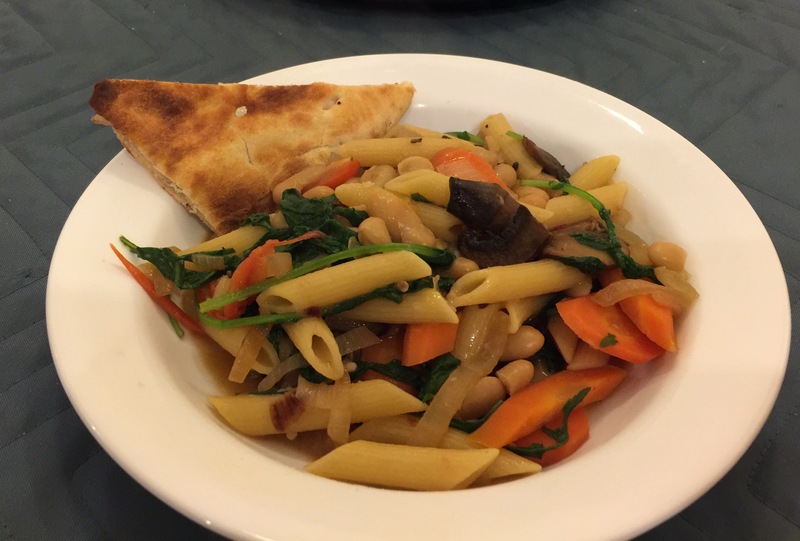 This entry was posted in Pasta, Vegan, Vegetables, Vegetarian and tagged arugula, cannellini beans, carrots, kale, mushrooms, Olive oil, Onions, penne. Bookmark the permalink.